Made from purified bovine tendon. Provides wound stabilization and creates space during guided tissue regeneration procedures where a longer absorption rate is desired. HeliMend™Advanced collagen membrane is absorbed in 18 weeks. Easy to use and has excellent handling characteristics. The membrane is very pliable and does not become slippery when hydrated, making it easier for clinicians to properly place the membrane over the defect. 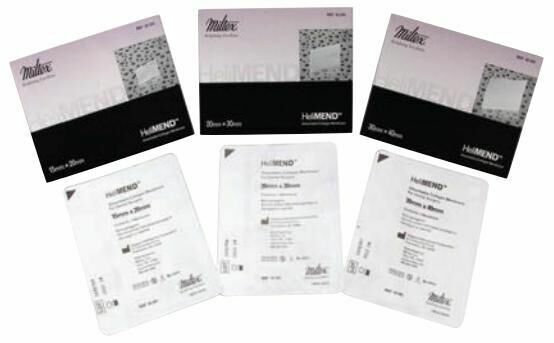 Each membrane is supplied sterile and in an easy to open package.